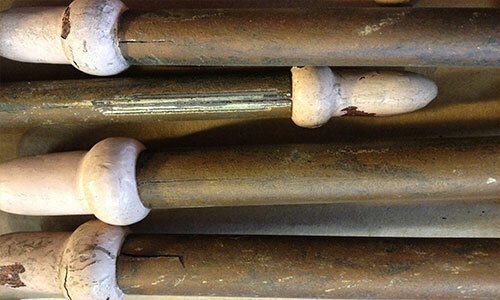 These brass piccolo pipes had suffered from water damage and most had come unglued. Sloppy previous repairs made matters worse. Moisture caused many glue joints to fail on these pipes and rotted the thin wood above the mouths. Previous attempts to reposition the freins left unsightly screw holes in the caps. Notice the split seams in the old brass. 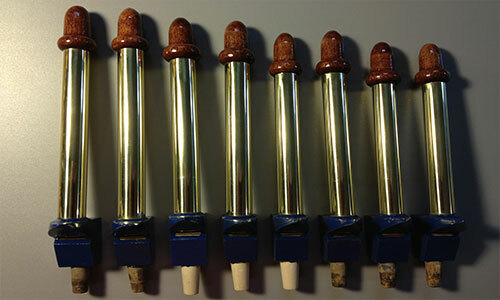 Here the pipes are re-glued with new caps installed. 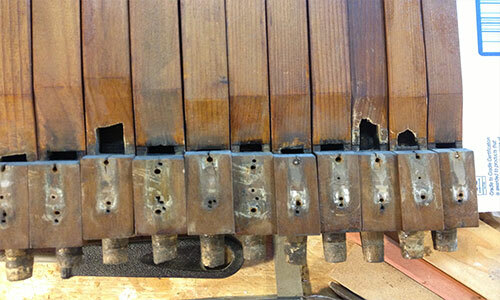 Damaged bevels repaired. 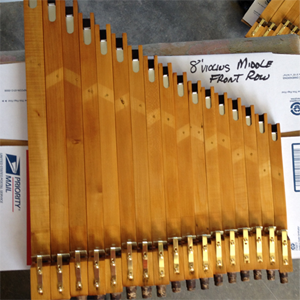 Wood parts stripped and re-glued, missing pieces fabricated and new brass tubes installed. 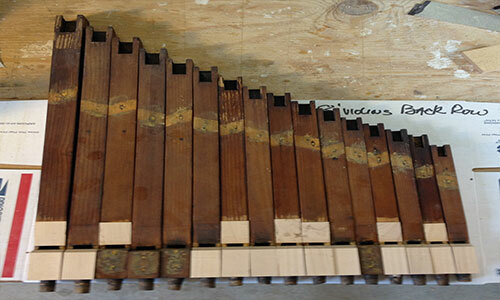 Pipes stripped of old finish, sanded and ready for new shellac. 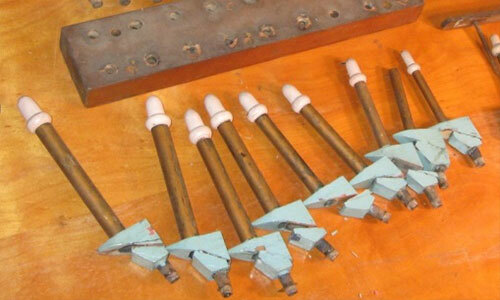 The completed pipes ready for installation in the band organ. 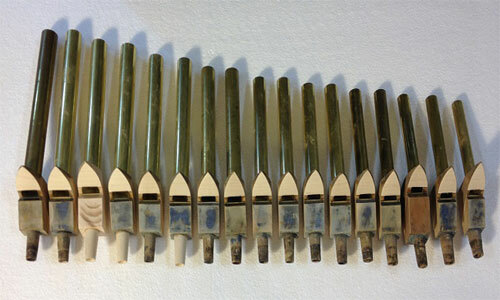 Here these violin pipes are complete with new brass freins and tuning slides. 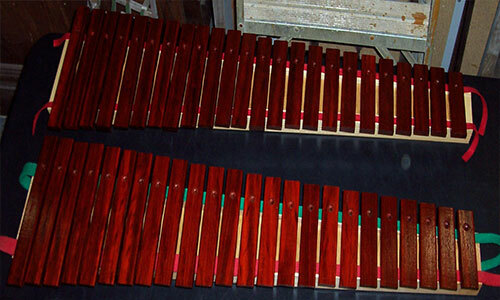 These new xylophone bars are made of Padauk wood. 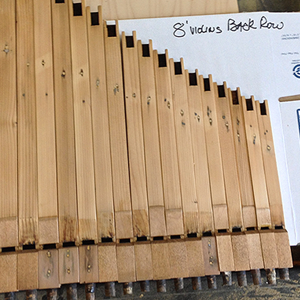 Each bar is double tuned (fundamental and 1st harmonic) for a very pleasing tone. 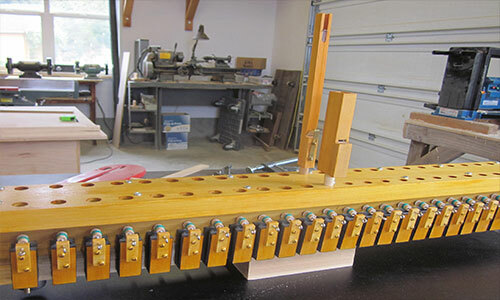 Padauk xylophone with reiterating mechanism. 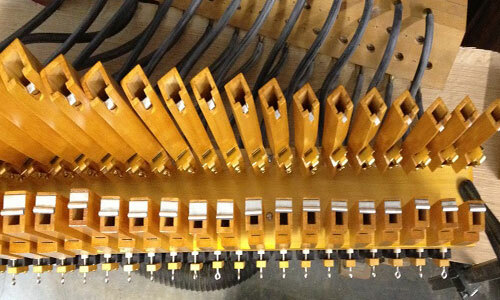 This chest will hold both piccolo and violin pipes. 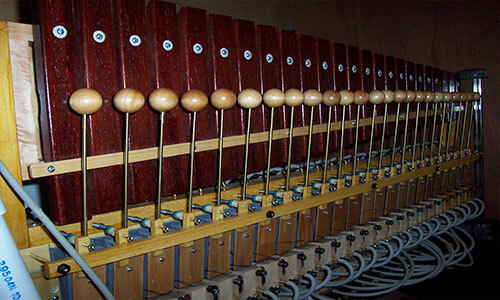 The completed chest as viewed from the top with violins and piccolos installed.